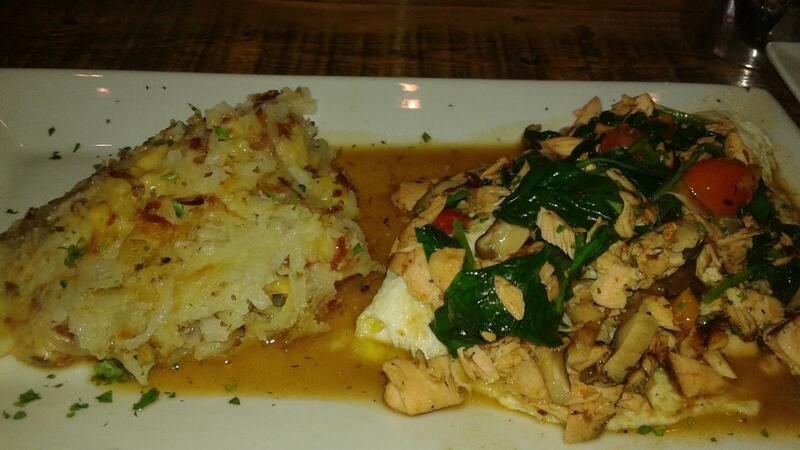 In Chicago, brunch is a sport that ranks right up there with the Bulls, Bears and Sox teams. Discovering the perfect brunch spot is a serious thing, and the city&apos;s restaurants scramble constantly to meet all the requirements for menus, drinks and ambiance. But beyond the perfect mimosa and ultimate avocado toast (more on those brunch trends here), some diners want dishes that will satisfy their healthy appetites while also displaying culinary creativity. So for foodies searching for a well-crafted and belly-busting brunch, check out these picks for summer mornings. Bar Roma is an Andersonville gem that serves up hearty Italian cooking with modern twists. The restaurant features a casual-yet-polished space with well-priced dishes that rely on fresh, inventive ingredients. The new brunch menu highlights food that manages to be stylish enough for the pickiest foodie and filling enough to win approval from old-school Italian grandmas. Classics such as Eggs Benedict are spiced up with smoked prosciutto and the richness of burrata is paired with Bing cherries, baby arugula and soppressata. Don&apos;t miss the Frittata di Oggi made heartier with a duck egg and perfectly sauteed breakfast potatoes or the Colazione Croissant, a flavorful medley of toasted croissant, omelette, prosciutto and smoked mozzarella. 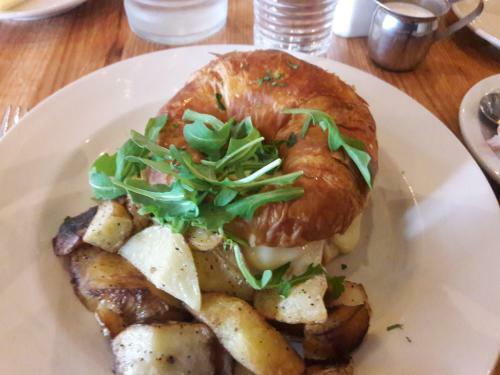 Brunch is served on Sundays, 10:30 a.m.–2 p.m.
You will need patience as big as your appetite to visit this perpetually packed Lincoln Park spot but you will be well rewarded. Batter & Berries delivers such unusual and delicious breakfast food that customers willingly wait in long lines to enjoy foodie heaven. The small and sunny room invites diners to gorge themselves with signature plates such as the famed Flight of French Toast, featuring strawberry, blueberry, lemon and caramel waffles slathered in maple butter; the Cluck N Gaufre chicken-stuffed sweet-potato waffle covered in nutmeg hot sauce; or the Jamaican Jerk Egg-White Omelette filled with smoked salmon, shiitake mushrooms, white cheddar and sauteed spinach accented with jerk sauce. There&apos;s a changing list of daily specials that are always winners, just arrive early if you want to get in. Open daily, 8 a.m.–3 p.m.
Don&apos;t let the white table clothes and fresh flowers on every table fool you, Pearl&apos;s Place is all about unpretentious comfort food and heaping quantities of it. 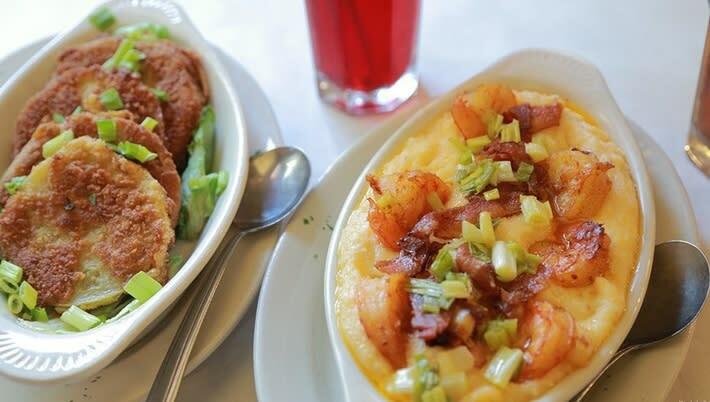 This historic Bronzeville bistro delivers a big selection of brunch and dinner faves classified as "down-home Southern cooking." Sample Shrimp and Cheesy Grits, Fried Green Tomatoes, Salmon Croquettes, Jambalaya and Fresh Banana Pancakes, all served with complimentary, melt-in-your-mouth biscuits. Sidle up to the breakfast buffet or order from the menu, either way, you&apos;re guaranteed to leave happy and a few pounds heavier. Open daily, 7 a.m.– 8 p.m. Photos of Bar Roma&apos;s Duck Egg Omelette & Colazione Croissant and Batter & Berries&apos; Jerk Omelette courtesy of Rosalind Cummings-Yeates. Photo of Fried Green Tomatoes & Shrimp and Cheesy Grits courtesy of Pearl&apos;s Place.